Compared to London, Sweden or even Paris, the weather around my town was optimistically good and sunny and I could not resist the temptation to offer myself (another) day off in the countryside. This time, I explored for 4 hours the city of Prenzlau, in the always surprising region Brandenburg. The trip from Berlin lasted 1h40, with 10 minutes of delay at the beginning of the trip. The trip goes fast, without too many stops. The train was full of groups of tourists over 50-60 that I later meet in Prenzlau. A regular round trip costs around 25 Euro. The trains are coming and going every 2 hours, but you should check the schedule before hand as when I left Prenzlau it was nobody at the train station to offer me more information about the program of the trains. From here you can easily go by bus to Stettin, in Poland, that I will present on another occasion. The landscape was light green, with red dots of the poppy flowers, a trademark of the area apparently. Prenzlau is part of the historical region of Uckermark whose 60% of the natural area is protected, part of the largest single lowland beech forest in the world. The towns we passed by looked like empty, without too much action on the street. 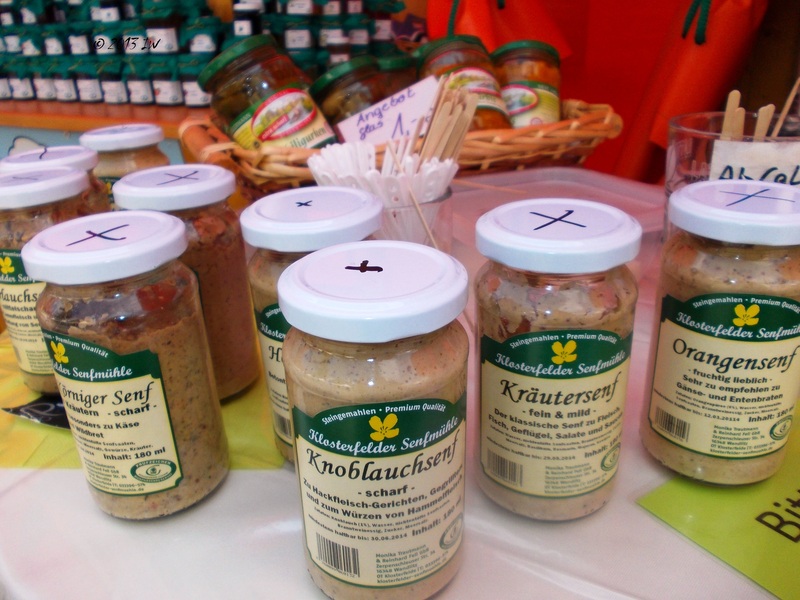 Uckermark is recommended for the quiet ambiance, the natural richness, with many species of birds and fish, and the simple and healthy cuisine. Some of the main activities recommended for tourists are paddling, drifting and paddling. As I will notice in Prenzlau too, there are not high-end hotels, but for those interested to get a taste of the local culture, the option of renting a room from a local house can be a good option. If I would be asked to pick up a word to define Prenzlau, this would be 'flowers'. There are not only flowers everywhere, on the balconies, in the parks or the corners of the old buildings and fortifications, but the city streets smell like a combined scent of various flowers. After arriving at the central train station - that connects the city to the rest of the world since the second half of the 19th century - I took a walk till the center. My first impression was that a hungry tourist from Berlin will not starve here, as I saw at least 5 restaurants - Chinese, Turkish, Italian and Greek, among others - during my first 10-minute walk. At the beginning of the 19th century, the city was the place where the Napoleon's troops fought against the Preusians. During the 1945 war, the city was destroyed in proportion of 85%, and many monuments are reminding the losses. During the Cold War, it was part of the DDR, and many of the buildings remember those grey times. After the reunification, many of the communist blockhouses were repainted and got a very young and colourful look. The first encounter with the local history takes place at the Stettin Gate Tower, part of the Medieval system of defense. It was built originally in the 13th century and rebuilt in the 14th. It is 32 meter-high. At the beginning there were about 60 fortified houses within the walls, 4 tower gates, 2 wall gates and 2 wall towers. The overall architecture of the city is simple and the main official buildings are erected in red bricks. Do not expect to find a shopping heaven either. 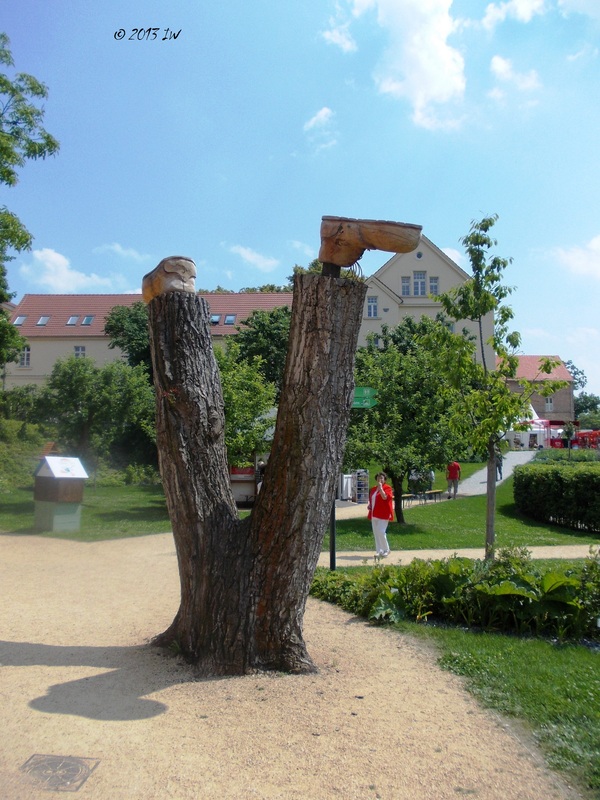 Prenzlau is for people looking to relax, and taste the pleasure of the colourful gardens. Before buying my ticket for the main attraction of the city, Landesgartenschau, I went on the top of the Schwedter Turm and had a panoramic view of the city: a lot of green and waters, a good remedy to a busy city life that you probably have in Berlin or elsewhere. A visit a the Landesgardenschau can last between 2 and 4 hours. Even more, if you want to have a long meal at one of the restaurants. The food is relatively cheap, with a regular menu and a drink worth 7-8 Euro. The tickets cover the two parts of the garden: the Stadtpark - with more monuments and history, such as the Tower of Witches, the Red Army Memorial and the Jewish Cemetery and the Seepark - where you can find a lot of gardens and flowers arrangements, a mini-stadium for various cultural events, and the Uckersee. It was a busy day and guided tours in German were starting almost every 10 minutes. In the park, the explanations for the most important monuments were available in English and German - and sometimes in Polish too - and I also found an English presentation of the region. Otherwise, get ready to practice and improve your German if you really want to find out about Prenzlau. As for me, I tried as much as possible to improve my clumsy German so I cannot say how easy is to use the English. Because it was a sunny day, many were those who decided to sit on the chairs around the sea and relax, dozing, or reading or simply watching around. The water does not look clean everywhere but there is a special section designated for swimming. 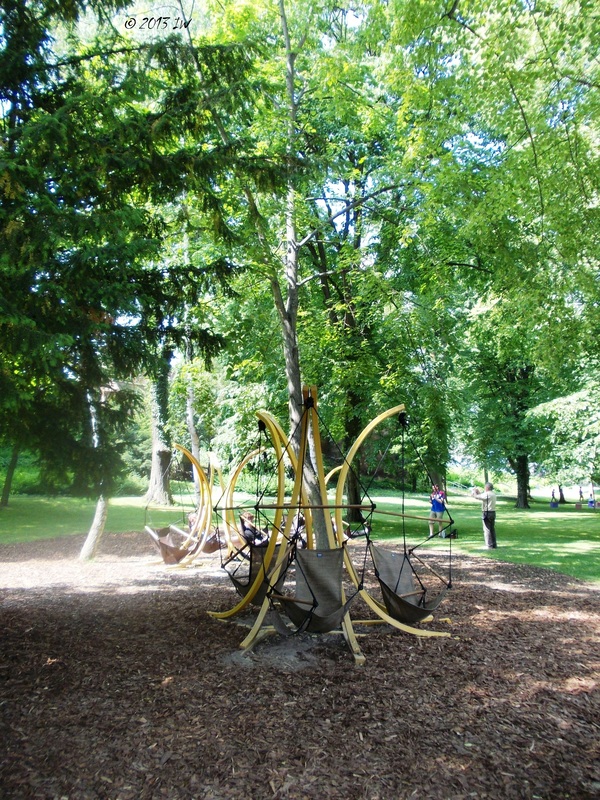 The children have many playground and their parents can watch them from outside, sitting on a bench or on a reclining chair. Don't hurry up, you have the whole day ahead to see everything. In the sea-part of the garden, one can have a look and eventually taste some of the local products, many of them unusual combinations of tastes - as the rhubarb and chocolate. I was invited to taste and take pictures and even offered a lot of information about various products, especially drinks such as the asparagus beer or various fruity strong alcoholic beverages - with 36-40% concentration. Dangerous for a hot day, isn't it? My lunch took place hours later, at a vegetarian bakery, simply called Lew, where I enjoyed a slice of veggie pizza, and a cherry cake and a coffee on a terrace in the interior garden. Besides some historical updates, my biggest pleasure in the city was to walk and spend a lot of time among flowers. 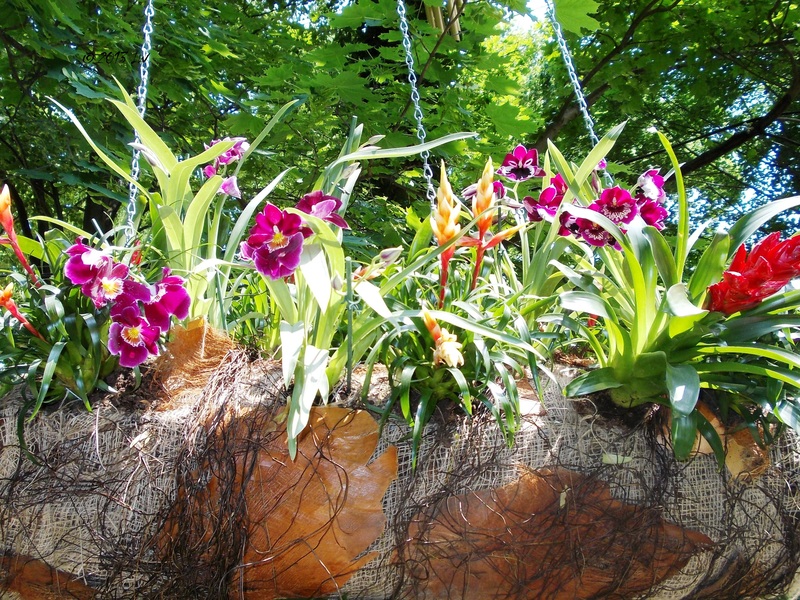 Local sorts or exotic arrangements, designed corners or wild flowers growing up in parks, at every moment I enjoyed their company and wished I am more familiar with their names and specific breeds. A quite place that I would like to visit from time to time, especially in the summer. Do you want to have a video look of Prenzlau? Here is the YouTube video I took. For more pictures, check my dedicated Pinterest board. At the first sight, you might think you are in Thailand. True is that you are in the middle of the flower paradise of Landesgartenschau. Relaxing is the code for a successful time spent in Prenzlau. There are no more Jews in Prenzlau and the Jewish cemetery was destroyed in 1938. 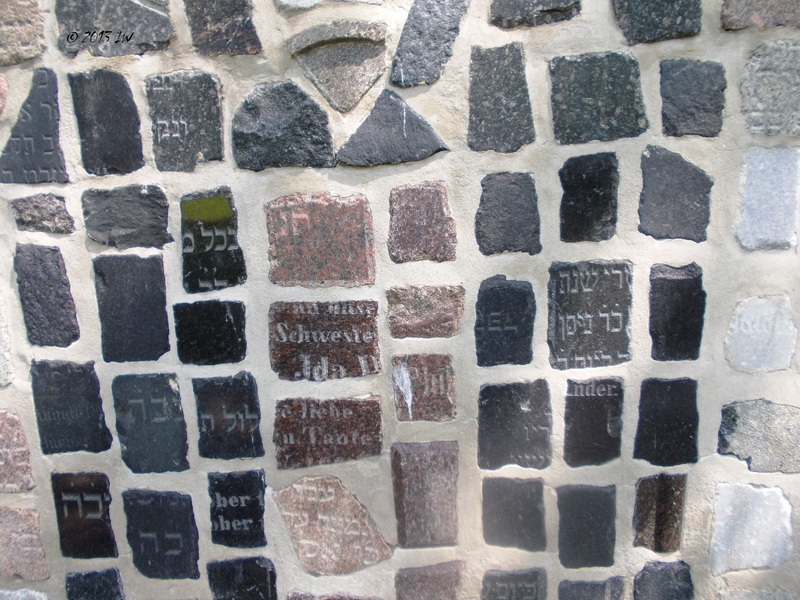 A group of Polish and German school children recovered some of the original stones and set up a Remembrance wall.